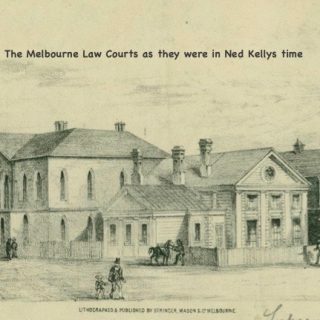 So begins a post that appeared a couple of weeks ago on Jack Petersons Facebook page titled “An Introduction to Ned Kelly”. 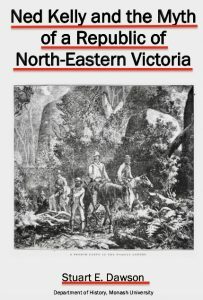 The page’s title would make you think its purpose was to inform anyone unfamiliar with the story, of some of the basic truths about Ned Kelly. Such people wouldn’t realise it, but sadly, that single sentence is entirely made up of lies, as is so much of what Jack Peterson writes about Ned Kelly. Petersons intent seems not to inform the unfamiliar about the Kelly story but to misinform them and have them unwittingly accept Kelly propaganda as true history. Its what one of Petersons fellow-travellers, a bloke who used to describe himself as a “Neducator” used to do to unsuspecting school children – tell them lies about Ned Kelly and have them going home thinking Ned Kelly was an Australian hero. Fortunately almost nobody was taken in by him and he has given up. 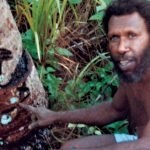 My purpose is not to try to correct Peterson and the ever-diminishing clique of un-australians like him who believe that the Kelly mythology is true history. Ive tried to engage such people in constructive debate for years and achieved nothing, because they’re incapable of engaging in debate.They’re not interested in considering anything such as a fact or an opinion that might challenge their fixed beliefs about Ned Kelly. Like Peterson all they are interested in is repeating to themselves and promoting to anyone who will listen, unhistorical fairy stories about the Kellys. They’re also interested and actively engage in the abuse and vilification of everyone who doesn’t agree with them – and you don’t have to look far to see it. Ive been their target for years, and so have academic authors Morrissey, MacFarlane and Dawson who collectively have exposed the lies, the cover-ups and the fake history that is at the heart of the Kelly mythology. Leo Kennedy has been on the receiving end of it lately, for daring to write a book called “Black Snake”. Any ‘debates’ they have are among themselves, in places from which anyone who disagrees with them has been excluded, places where people like Peterson can get away with whatever nonsense they want to discuss, knowing that they won’t be challenged. A case in point is the Iron Outlaw sponsored Ned Kelly seminar in Chiltern in a couple of weeks. It will be addressed by a line-up of conspiracy theorists, internet bullies and self-promoting Kelly fanatics pretending to be historians and ‘researchers’. I doubt they will be as bold as the Flat Earth society, which posts the speeches made at its seminars on You Tube – but the Kelly seminar speeches, with one or two exceptions will be equally as ludicrous in their unhinged quality. No, my purpose, as long as the Kelly fanatics keep posting lies about Ned Kelly and the outbreak, is to keep pointing out that they are liars and posting the corrections to those lies, so anyone with a genuine interest in knowing what to believe will be properly informed, not misinformed! So, what are the lies in that sentence from Petersons FB page? I am not permitted to post to that page – but if I was I would challenge, and do challenge Peterson – or anyone else for that matter – to supply a list of the ‘trumped up charges’ and another list of the ‘very dubious convictions’ that he refers to. He is welcome to post them to this Blog as a comment but I already know that he won’t – and in typical Kelly paranoid conspiracist fashion will probably say that I would delete them if he did ! So then, to prove me wrong he can post his lists to his FB page instead – and I wouldn’t be able to delete them from there – but he won’t do that either. The reason he wont is that no such list could be created. A ‘trumped up’ charge refers to a charge that is false, that has no evidence to support it, that it is entirely invented as a form of harassment – and believe me I’ve looked at ALL the charges – and there are literally dozens – and not a single one was ‘trumped up’. Not one. Discharge or acquittal or being found not guilty doesn’t mean the charge was ‘trumped up’ any more than being found “Not Guilty” means a person is necessarily innocent. The same is true for the convictions which Peterson calls ‘very dubious’. Let him post a list of these ‘dubious convictions’ and say what is dubious about them – but again I predict, no such list will be forthcoming either from him or anyone else in the Kelly camp. They will run as fast as they can from an actual debate about substance every day of the week. What I COULD provide is a list of highly dubious acquittals and discharges, where Kelly clan members escaped convictions for serious offences, or were convicted of lesser offences because of the highly dubious behaviour and lies told by witnesses for the defence who were often relatives neighbours and friends of the Kellys. What I could easily provide is a list of the leniency and the fair and balanced approach of the justice system which often enough operated to the Kellys advantage by its strict adherence to the rule of law, dropping charges that could have been laid, remitting of sentences and police offers of help made to the young Kelly, and payments of rewards to others. The facts and the lists which COULD be provided show the exact opposite of what Peterson and Kelly fanatics claim and blindly believe in their fact-free echo-chambers. Here Peterson is referring to a report issued by Nicolson after making a tour of the North east in 1877. 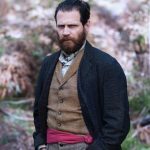 He visited Mrs Kelly at her home and said she and the girls were living in ‘poverty and squalor’ at a time when we know from his own bragging that Ned Kelly was raking it in selling stolen horses and living the high life of what Kelly himself described as a ‘rambling gambler’. This is one of those inconvenient truths that the Kelly fanatics don’t want you to read about because it shatters their claim that Ned Kelly gave a damn about his family. He was living the high life while they were living in ‘poverty and squalor’ – what kind of Australian Son is that? Peterson refuses to quote Nicolson’s actual words because they say the exact oppositeof what Peterson claims! Rather than instructing them to ‘harass and intimidate’ Nicolson’s instruction was to NOT harass and intimidate, but if they broke the law to crack down hard on them. What Nicolson is advocating here is simply good policing – leave these people alone but if they break the Law, let them have it with both barrels. He was referring to an extended family who over the preceding 15 years or more had been involved in all manner of seriously criminal activity, from domestic violence, to sexual assault, violent criminal assault with infliction of grievous bodily harm, arson, animal cruelty and stock theft. Police resources were stretched. Nicolson had had enough! 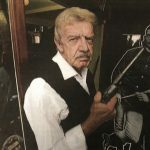 Jack Petersons deplorable habit of misinforming people looking for an ‘Introduction’ to Ned Kelly is typical of all advocates for the Kelly myth. They ALL ignore facts, invent or misconstrue evidence, immerse themselves in conspiracy theories, cherry-pick the bits that they like, and pretend they haven’t seen all the rest in an effort to maintain the delusion that Ned Kelly is an Australian hero. And of course, they attack and vilify anyone who doesn’t agree with them. When you read the stories of true Australian heroes, like the ones I posted last week you realise what a thoroughly sad and inconsequential individual Ned Kelly was alongside the real ones. The same should be said about the liars and deluded conspiracy theorists who promote him. I posted a comment to your previous website under one of your intriguing examinations of Alexander Fitzpatrick. My great great grandfather, Joseph Ladd Mayes (#1477) was the 2IC of Francis Hare’s 1879 “Cave Parties”, that staked out Joe Byrne’s property with the assistance of Aaron Sherritt in the aftermath of Stringybark Creek and Jerilderie. I don’t know whether he participated in any operations prior to that as Mayes was stationed at Broadmeadows in 1877. 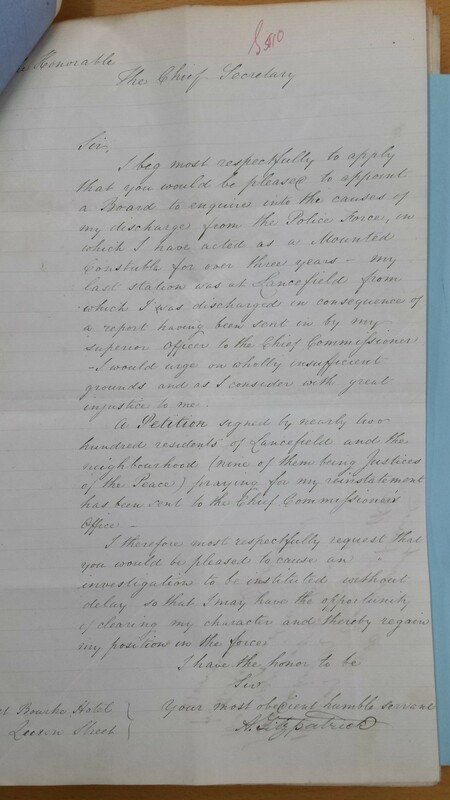 All the records I have about my great great grandfather (including his service record and his testimony at the 1881-1883 Royal Commission) suggest no evidence whatsoever of intimidation or harrassment – at the very least, during the 1879 operations. Their mandate was to remain out of sight altogether and leave no evidence of their existence at the caves. My impression was that Sherritt was playing both sides during 1879. He was profiting from being a police informant but whether he was getting messages through to the Gang is something I’m just not sure about. In any case, they shot him for his treachery so I guess therein lies the answer. you’ve probably noticed how interest in the Kelly myths seems to be flagging so its really great to have your input, and there will be much interest from a few of us to hear more about your research. Being related to one of the police who participated in the outbreak you’ll have to expect all manner of abuse and ignorant commentary from Kelly fanatics – if you haven’t already! But that won’t be permitted here. What I would really like to know is a whole lot more about your g/g/ grandfathers role in the dismissal of Alexander Fitzpatrick. You probably know that it was on his recommendation that Fitzpatrick was dismissed but I have not come across any detail of what the particular incidents and infringements and misdemeanours were that were the basis for Mayes sweeping dismissal of the man. His condemnations are in stark contrast to the opinions of the innumerable citizens of Lancefield signed the Petition in support of Fitzpatrick. 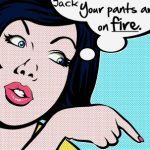 Ive some thoughts which arise from reading your great Blog about him – his reputation was under something of a cloud – but from what you’ve written it was unjustified – and he seemed eager to impress the hierarchy and try to restore his standing. He was very zealous in his hostility to the Kelly Gang and I wonder if that didn’t flow over into his attitude towards Fitzpatrick? It seems quite extraordinary that due process wasn’t afforded Fitzpatrick – by which I mean an actual disciplinary process at which the complaints were formally made and he was given an opportunity to defend himself – and the be dealt with according to the evidence which may perhaps have been dismissal never-the-less – but there is no transparency at all in regard to the case. A very strong case can be made that Fitzpatrick was very harshly treated by Police looking for a scapegoat on whom to lay the blame for the whole Outbreak, which, as the Commission highlighted didnt cover the police in glory! I think SC Mayes assisted in that scapegoating. Thanks for your reply and for such a detailed one at that. I really appreciate the work you’re doing in challenging the narratives around the Kelly Affair and I think it is valuable. Okay – so let me try and put forward as much as I can from my emerging perspective on my great great grandfather. As to my putting myself out there for potential abuse/criticism from certain “parties”, I say bring it on. I’m not about to disown the history of my family as I undertake this mission (of sorts) to understand who my great great grandfather was. Though it’s tempting to be swept up in the emotion of the endeavor, I do have an analytical mind and will assess the information that crosses my notice. At this stage, there is a lot that remains a mystery to me, so I’m going to at least consider whatever comes to hand. I’ve had encounters with Ian Jones – who always seemed possessive of a certain narrative around the Kelly Affair and just yesterday, I found myself on the receiving end of some fairly blunt criticism for daring to put my ancestor’s story out there. So, Joseph Ladd Mayes was instrumental in the dismissal of Alexander Fitzpatrick – and it’s fair to say he was an instrument in the dismissal. Joseph Ladd was transferred to Lancefield in June 1879 from Broadmeadows. This was after his participation in the Cave Parties, which took up most of the year (Feb to June 1879). Alexander Fitzpatrick arrived at Lancefield in September of that year, having been moved there by Francis Hare, to be put under a “hard man” (Mayes – as described by Hare). By this stage, I think Fitzpatrick’s career was on life support – rightly or wrongly – and having him put under the supervision of Joseph Ladd meant that his career would be made or broken (you could also argue that Hare knew that Mayes could be trusted to “do the right thing” – read into that what you may). Fitzpatrick lasted 9 months at Lancefield. The catalyst for his dismissal was a complaint brought to Joseph Ladd’s attention by a Morris Casey – a resident of Lancefield – who accused Fitzpatrick of threatening both himself and his family. I don’t know anything specific about this case but it is something I’m working on uncovering, with the assistance of the Lancefield Historical Society. As to the petitions that were put forward by “the 200” at Lancefield in the aftermath of his being stood down – again I only know of this through the testimony of Fitzpatrick at the Royal Commission. I would love to know if a copy of these petitions has survived, though I doubt they have. Again – this is something I would like to know more about. As to what processes Fitzpatrick did or didn’t undergo after being dismissed from Lancefield, I don’t know. Fitzpatrick himself hints at a rather chequered career that followed him from Sydney to Melbourne and while he tends to protest numerous incidences, they can’t all have been unfair…?? Okay – so, Joseph Ladd Mayes’ career got off to a rocky start after the murder of Thomas Ulick Burke in the Piggoreet District back in 1867. Though there is plenty of evidence showing Joseph Ladd Mayes was instrumental in catching the killers, he appears to have made enemies in the Detective Branch – enemies who wanted to (pretty much) destroy him. You’ll note in my piece “Early Trials” that when Joseph Ladd faced court over the case of the stolen boots, the prosecutor was *one of those detectives! * The magistrate struck that case down and released Joseph Ladd with the remarks “there is not the slightest stain on your character”. The stolen boots affair coupled with the Burke murder seems to have had a damaging effect on Joseph Ladd and his wife Marrian who was said to have “broken down” under the strain of it all. So, maybe Joseph Ladd Mayes did have something to prove. Maybe, when he was given the opportunity to act as Hare’s 2IC in the Cave Parties, maybe he expressed the kind of zeal that he felt would enhance his standing with Hare. Personally, I don’t think it’s as cut and dried as that. It is clear to me, throughout Joseph Ladd’s service record and the recollections of Hare himself, that the two men were firm friends – on an equal standing with one another, if not equal in rank – so I don’t think Joseph Ladd had anything to prove. I think that the Victoria Police *did* want a scapegoat in the Kelly Affair aftermath and, unfortunately for Fitzpatrick, he got himself inextricably entwined in the Affair when he attempted the arrest of Dan Kelly. I think Fitzpatrick was transferred by Hare to Lancefield with the expectation that he would screw up and he would screw up under the command of a man they could count on. You could read into that one of two ways – I know I have. Here’s the thing though. Joseph Ladd Mayes remained in command of Lancefield Station from 1879 to 1885. That’s a full six years in a small country town, where – to quote that immortal line from the “Cheers” theme tune – “Everybody knows your name.” Joseph Ladd briefly transferred to Kyneton in 1885 to fill a post there but he was only in Kyneton a year before he returned to Lancefield to see out the remainder of his career – he retired from the Force in 1895. It’s hard to imagine that he would have remained in the District, if the community hated him so much. This is why I’m not sure about the petitions – I’m not saying they didn’t exist or happen. I’m just not sure. Here’s a link to a pdf copy of the Testimony Alexander Fitzpatrick gave to the Royal Commission on the 6th of July, 1881. The incident at the Kelly home is covered as well as his dismissal from the Force. And here’s a link to a pdf copy of the testimony Joseph Ladd Mayes gave to the Royal Commission on the 31st of May, 1882. Mayes’ explores his search for bushranger Harry Power, the Cave Parties, the Burke murder and subsequent persecution (?) and Alexander Fitzpatrick. These two documents have formed the backbone of my research into Joseph Ladd Mayes – along with his service record, and other materials that are in the public domain. I consider my series a living document that will grow and change as I learn more about my great great grandfather and consider the competing views that exist around the narratives. Thank you for opening up a dialog with me about this. I hope we can continue to interact and sort through the accounts. Hi Dean, the Lancefield petitions certainly exist, and are referenced in the notes on page 87 of my Redeeming Fitzpatrick article. I read them at VPRO about 5 years ago when I did that article. As I said in the article, given that there was strong public support for Fitzpatrick by the people of Lancefield, that his sworn testimony can be largely corroborated, and that he had a good service record through to March 1879, he appears to have been justified in believing himself to have been wrongfully dismissed. The article has a discussion of his dismissal on pp 87-88. It is a long time since I looked at that stuff, and I haven’t got any more to add to what was covered then. However, there is no reason to doubt that Joseph Mayes also had a good reputation working six years in Lancefield as you said. It is not mutually exclusive; not Fitzpatrick or Mayes! That might be a modern polarisation, if anyone said that, but it has no historical rationale on that basis. Maybe they were both good guys in their way; maybe not. Mayes might have had it in for Fitzpatrick for various reasons, as I discussed in the article, and not necessarily good reasons. Maybe he just convinced himself that Fitzpatrick was no good no matter what Fitzpatrick did. He was a strict disciplinarian after all. Fitzpatrick found him so. Then there is stuff we will never know. It is important to understand that I was not trying to turn Fitzpatrick into a saint, contrary to what some Kelly enthusiasts seemed to think. The point of my article is that Fitzpatrick’s testimony about the “Fitzpatrick incident” stacks up and can be largely independently corroborated. That’s all. He didn’t lie, and the Kellys did the things he said they did. His version and sworn testimony is correct as far as it humanly could be. That means Jones, Molony, and others totally stuffed up the understanding of Kelly history in a naïve attempt to vindicate Ned Kelly and friends. And they stuffed up in lots of other places as well, as my other articles have explored. So we have been fed a lot of BS by so-called historical experts for decades. 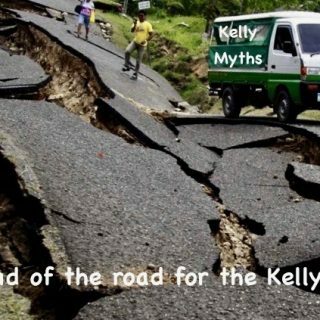 But gradually the myths are being challenged and demolished, and hopefully we will arrive at a much better and truer understanding of the Kelly outbreak in a few more years when people like teachers and lecturers get their heads out of their collective posteriors and realise that the Kelly myth is largely a massive twentieth-century historical distortion. Doug Morrissey’s books are very good on critiquing Kelly myths, although unfortunately lacking in source notes. But his academic articles are rigorously footnote, and worth chasing up. Thanks for your reply. I’ve spent the afternoon reading and re-reading your essay and, I’ve got to say, I can’t fault the thoroughness of it. There does seem to be a compelling – I dunno – minority report (?) that suggests the senior ranks developed a view that he had to be made a scapegoat and they had, as I mentioned previously, a perfect instrument in my great great grandfather, whom they could rely on – either fairly or unfairly. I have the sense that Joseph Ladd Mayes was an inscrutable officer who would put the Force first and would not tolerate the slightest infraction. Trust me, it’s a family trait. I hope to gain further insights and documentary evidence on both Fitzpatrick & Mayes through the Lancefield Historical Society. Perhaps the picture from that 9 month period at Lancefield will become clearer. There is certainly the Morris Casey incident that I would like to pursue. They may nothing in it but it’s worth looking at. I’m also interested in the period Fitzpatrick spent in Sydney in 1879. Personally, I think there’s more to the story here. But, I could be wrong. I think I said it elsewhere (perhaps in the blogger incarnation of this site) but my family has had interactions with Ian Jones – none of them good. Jones had his narrative and he was bitterly possessive of it. He didn’t like anyone contesting that narrative. Thanks again Stuart for your insights. If I may, I’d like to expand on my article covering Fitzpatrick and Lancefield and cite your work in that piece. I’ll understand if you choose to decline. But it would set a cat amongst the Kel…I mean pigeons. I think I said it elsewhere (perhaps in the blogger incarnation of this site) but my family has had interactions with Ian Jones – none of them good. Jones had his narrative and he was bitterly possessive of it. He didn’t like anyone contesting that narrative. And so it goes… Thanks again Stuart for your insights. If I may, I’d like to expand on my article covering Fitzpatrick and Lancefield and cite your work in that piece. I’ll understand if you choose to decline. Dean did you know there’s a Ned Kelly seminar being held this weekend at Chiltern, sponsored by pro-Kelly die-hards at which topics being presented include the Fitzpatrick incident ? Sorry about the doubling up of replies there David. I didn’t think my comment went through. I wasn’t aware of that seminar, though it’s probably a little too late for me to organise a trip over from Adelaide unfortunately. Stuart’s essay on the Fitzpatrick incident is hard to argue with and I think that it is as close to the truth as any account I’ve read. I imagine the audience for the seminar wouldn’t like their world view bring shattered. Hi Dean, anyone is free to cite my articles without any special permission; it’s normal academic practice. You don’t need to ask anyone to cite something from their work, just provide the reference. Some book publishers place restrictions on how much of a piece you can quote without seeking permission, e.g. a couple of sentences or so, but that doesn’t usually apply to academic articles, and certainly not to mine. You can’t reprint or republish it, but you can quote whole paragraphs if you want to, just as long as you give the reference. The other thing about the Fitzpatrick article is that everyone from Jonesy 1967 onwards said that what happened on 15 April 1878 could never be solved. We had two accounts – Kelly’s and Fitzpatrick’s, and they didn’t agree, and all that was certain is that Fitzpatrick was a lying a*hole who was sacked for drunkenness and perjury, so there. (See Corfield’s Ned Kelly Encyclopaedia in your local library for the general idea.) So the challenge was, can we ever know what happened? Did Fitzpatrick’s testimony make any sense? Did anyone actually bother to look at it, or did they just assume, like a bunch of drunken losers, that he was a lying a*hole etc., etc. Sure enough, none of the Fitzpatrick bashers had ever bothered to look at it closely, as they were too busy vindicating Ned. The first thing I wanted to see was Fitzpatrick’s Record of Conduct and Service, which the Police Museum kindly emailed me. Sure enough, Jones had completely f*d up, taking comments from his time in Sydney and afterwards, and backdating them to the time of the Fitzpatrick incident. Worse, he ignored the satisfactory performance assessment Fitzpatrick got about 3 months after the incident. So I knew then that Jones had bungled and distorted the history, as he did in other areas (see my free to download Metcalf article in the Republic book bibliography). That meant there was reason to investigate the arguments about what Fitzpatrick said, and to gather all available evidence about his testimony from its various sources, throw it up in the air and see what came out. And as we can see, much of it can be independently corroborated, and was. OK Kelly fans, into the dunce’s corner with you! This is brilliant reading. Very interesting. Thank you all. Mark. Adelaide. Thanks for your contribution and your props to my gg grandfather. Yes, it seems he was indeed an immovable object to which no one could budge. In recent days I discovered a name Maurice Casey from Lancefield who I think might be worth checking into. In talking with my Dad this week, he has more detailed notes about this Casey Affair at Lancefield and it’s turning out to be no small matter. So, I’ll need time – but I will endeavour to uncover more about it. I’m also intrigued by the case of Edith Graham up in Sydney. I think there’s more to that account which may or may not have contributed to Fitzpatrick’s troubles. I’ve just uploaded a new entry to my site tonight which closes out the life of Joseph Ladd Mayes. I’ll be going back into the entries to incorporate Stuart’s work and work on entries for Joseph Ladd’s eldest son and his younger son Joseph Jr. (my great grandfather). Those two have the most detailed records of all the children. I vaguely recall there was correspondence in the same file as the Lancefield petition, about the Casey complaint, but I didn’t photograph it unfortunately, so could be wrong. All I can say is it rings a bell. There is certainly correspondence about a complaint against him at Lancefield from a Mr Campbell, which was thoroughly examined and rejected by the police, and appears to have been motivated by personal antagonism. VPRO is a slow moving place. You need to request files to look at a couple of days in advance if they are not online, as this isn’t. Then you go in and they get it for you to look at in the supervised North Melbourne reading area. If you want to photograph anything you fill out a request for approval form on the day. Get in early to avoid the queues of aging genealogists. I suggest getting the VPRO reference from MacFarlane’s book, or it might be in my Fitzpatrick article footnotes, then doing an online VPRO enquiry to make sure that you are talking about the right file number, then booking it for a look. Once you book, they dig it out of storage hold it in the public contact area for a few days, so you have a little flexibility to get in. They also have the Victoria Police Gazette if you want to look at any years of it, but again, you need to order the particular years you want in advance as it is all hard copies. Hi Dean, the first (Lancefield) petition to reinstate Fitzpatrick is in the VPRO online at VPRS 4969 Unit 1 Item 30. If you google VPRS 4969, you will go to the 4969 folder. Then select “Accessing the records in this series”. Then select “list of records in this series”. Then click the little underlined link “P0000”. That opens up the list of files in the folder. You need to go down to Unit 1, Item 30, and click to open the file. You can download it and save it to your computer after it opens. All the Kelly VPRS files work the same way. Cheers! David, in your other place you point out that the silence about Chiltern speaks volumes. They’re usually falling over themselves about the success of the event. I expected Alan Crichton to be a happier-looking individual. He has a real sense of humour, but that is not shown in his photo. 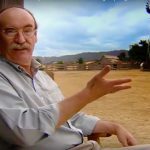 Jack Peterson has become a serial misinformation tool. Hope he has repaid the parental loan for his useless book. Keep after this dumb dud, David.